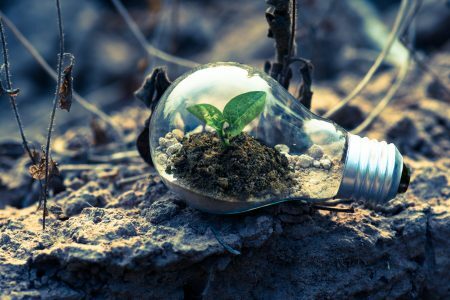 While there are many environmental challenges we face on a global level, what we do everyday can affect our environment globally and most importantly, locally. One such action is picking up trash in our community. Every piece of trash we pick up helps to keep our neighborhoods clean and safe. Find a local clean-up event. There are many happening during the month of April. Check with your local townships or environment commissions for dates. Take a Walk with a Trash Bag and Gloves. With so many of us taking walks in and around our neighborhood, designate one walk per month to collect the trash you see along your path. Be sure to wear gloves and bring two or three trash bags to collect and separate the trash. Small gestures can have big impacts. Don’t underestimate the power you have to change your neighborhood, community and Mother Earth. Grab your sneakers and take a walk…on National Walking Day. 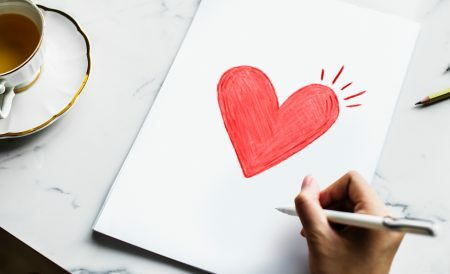 According to the American Heart Association, the event is celebrated on April 1st, but some sources say it’s celebrated on the first Wednesday in April. We at KMM think regardless of what day it falls on, everyone should walk! 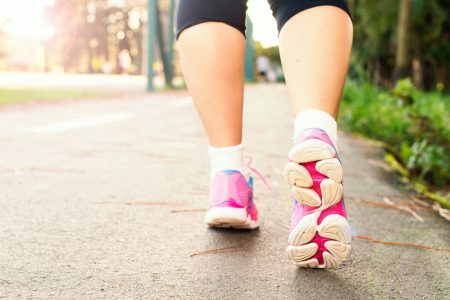 By committing to walking at least 30 minutes, you can get healthier and raise awareness about the importance of physical activity. On this day, millions of people throughout the United States will come together to take steps to live a healthier life for themselves, their families and their communities. You can celebrate the day in the workplace, at schools, in neighborhood walking groups and clubs and communities. Here are 3 tips on how to participate in National Walking Day, today and really, all year long. Form a walking group with your neighbors. Commit to meeting 3-5 times a week and walk different routes in your neighborhood. Not only are you getting exercise, but you are engaging within the community. Plan a walking meeting. Sometimes the best ideas come when you are exercising. Instead of sitting around the table, have a staff meeting walking at lunch with your coworkers. While it’s a more informal type of meeting, it could produce some unique ideas. Create a walking challenge. Whether with your neighbors, co-workers or people in your community, create a challenge to see who can walk the most steps in one month. Determine a monetary amount to join and split the total money collected between the winner and a local charity or cause in your group’s name. With so many apps and devices, you can track each other’s progress. …and most importantly, don’t text and walk. 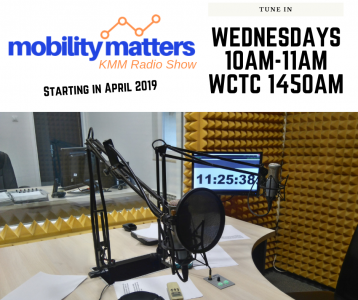 We are thrilled to share that KMM will be launching a radio show /podcast – Mobility Matters – on WCTC 1450 AM radio beginning in April 2019. Tune in on Wednesdays at 10 am. Join us as we talk to leading experts in the fields of transportation, sustainability, and economic development. Recently, NASA announced the earth’s temperature has risen 1.8 degrees since the late 19th century. It’s a big deal because scientists believe a 2-degree increase would result in melting ice caps, rising sea levels, warmer oceans, more hurricanes, floods, droughts, and wildfires. All of this is due to the increase of greenhouse gases like carbon dioxide and methane which are produced by humans and emitted into the air. So what can we do about this? To participate, 5th-grade students from Middlesex County must design an original piece (bookmark) artwork in color and must be submitted using the entry form included in this post. We ask just one entry per student and all entries must be submitted by April 15, 2019. The winner will receive a $100 gift card from Magyar Bank. The winning bookmark will be printed and distributed to schools in Middlesex County. For more information, download the info sheet provided. Best wishes to all participants! Commuting can be one of those items that fall way down on the list of things you love to do. And you are not alone. The average travel time for working New Jerseyans is 31.2 minutes, which is almost seven minutes longer than the average US commute. So what can we do to make your commute better? Commute Smarter. Sounds silly, right edlekarna.cz? Before you click away, let us explain. Our staff can help you find a commute that not only maximizes your time spent commuting but also do so in a way that is sustainable for both your wallet and the environment. We manage a host of databases that can match you with a carpool or vanpool partner. We can connect you with transit-friendly solutions and provide you with tools that make biking to work an option if that is something you think you would like. We even have a free NJ Traffic app you can download and customize to your commute! And if all options are not available for you, we can recommend the best podcasts or apps to accompany you on your commute. Don’t spend one more moment dreading your commute. Let us help you love your commute. Reach out to us. 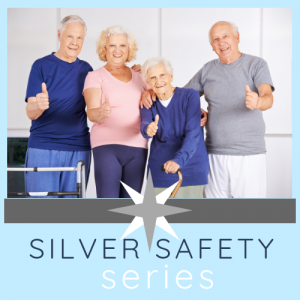 KMM is excited to announce the launch of our new program for active adults called – Silver Safety Series. The program provides a number of interactive presentations that deal with driving safety, pedestrian issues, on-demand transportation alternatives, and even health and exercise. This program can be presented individually or as series and features interactive presentations, light refreshments, and giveaways. Available to senior centers across Middlesex County, the program is FREE and can even be customized to each facility. Listed below are the options. Again, a senior center can pick and choose which of the presentations they would like to offer and schedule them for a 1/2 day or as a series. To learn more, or to schedule the Silver Safety Series, call our office (732-745-4465). 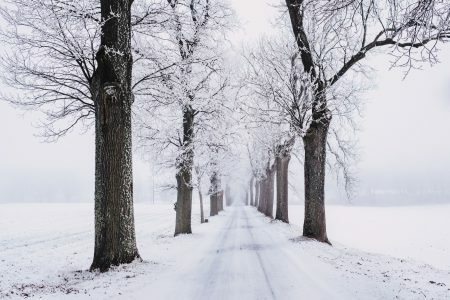 Walk carefully and cautiously on snowy, icy walkways. Stay dry. Wear winter essentials like a hat, gloves, scarf, and jacket as a way of protection against the cold. Check your homes heating system. Make sure that it is properly working. Be aware of the current weather forecast. Know of any changes with the weather that could possibly make it worse. Drive only if it is absolutely necessary. If you must drive, do not travel alone. Clear snow off from the top of the car, headlights, and windows. Top off antifreeze, windshield wiper fluid, gas, and oil before you begin your journey. Make sure your tires have enough tread. Keep bagged salt in the trunk to melt ice or for emergency purposes. The winter season can sometimes be a scary one. This is why it is important to be prepared for any type of weather condition winter may bring. If you are prepared for the hazards of winter, you will be more likely to stay safe and healthy when temperatures start to fall. Now that the winter has arrived, temperatures will be dropping and snow will be falling. Whether you’re walking or driving during the winter months, its best to be prepared so you stay safe. Walk Smart. As a pedestrian, it’s your job to be aware of your surroundings at all times. If you know that snow is headed your way make sure to plan ahead. Before you walk out the door, make sure that you wear the proper footwear. Sneakers or snow boot are the best type of shoe for the winter weather. Be sure to take your time and don’t rush and look up when navigating the sidewalk. This method allows you to anticipate ice or an uneven surface. Along with taking your time, you should occasionally scan from left to right to ensure that you aren’t in the way of vehicles or other hazards. Drive Smart. 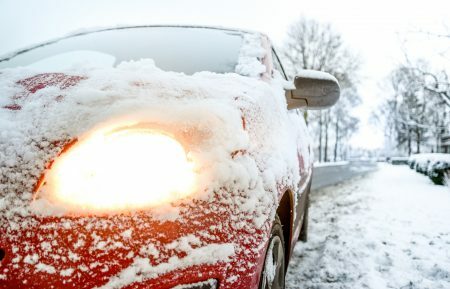 Injuries during the winter aren’t always from slipping on ice, but can also result from car crashes. The snow and ice do more than we think. Not being visible, black ice is the most dangerous of all to drivers. Always leave extra time to get to your destination. By taking your time and doing the speed limit can help ensure your safety and the safety of others on the road. And be extra cautious in parking lots. They are difficult to clear and the snow piles take long to melt. Always be aware of pedestrians, snow piles, and cars that may slide or skid on ice. If you are a home or business owner, make sure sidewalks, walkways and driveways are cleared of any snow, ice or other slippery materials that could get in the way of the pedestrian and drivers. No matter how well the snow and ice are removed or melted from parking lots, sidewalks and the roads, it’s imperative to walk and drive smart. Together, we are all responsible for our safety and the safety of others this winter season. Tis the season…Christmas and New Years is a time where many people gather to enjoy the holiday season with their loved ones and friends. 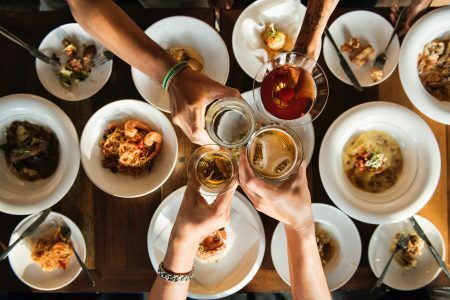 Gatherings and celebrations are filled with grand meals complete with turkey and all the fixings, ugly sweater parties, mistletoe, and eggnog. Unfortunately, this time of year can also be one of the deadliest due to impaired driving. One of the deadliest and most often committed crimes is drunk driving. It is a serious safety epidemic in our country and across the world. During the holiday season, the number of drunk drivers on the road grows rapidly and more fatalities occur during this time. Let’s change that this year. Be responsible. If you know that someone is drinking, do not let that person get into a car and drive away. Have a designated driver. A good way to figure this out is to decide who’s going to be doing the driving before you go out. Also, make sure that person doesn’t drink any alcoholic beverages. Call a taxi or Uber as a backup. Sometimes you cannot rely on all designated drivers. Take the keys. You shouldn’t be afraid to take someone’s car keys if you know that they have been drinking and that you are going to save their life. If you know that you have had too much to drink, stay put, and sober up. Do your part this holiday season by staying aware, staying sober, and staying safe. Happy and Safe Holidays to you and yours! Hiking is a great outdoor activity delivering benefits beyond scenic and fun. Unlike regular walking, hiking involves much more. 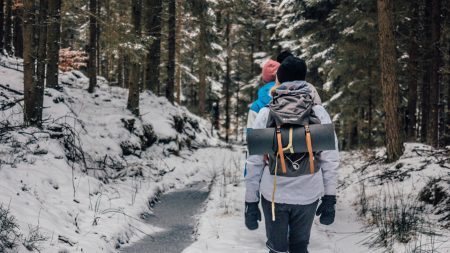 Here are some safety tips to cover before you go out for your hike. Check the weather. Leading up to and a few hours before your hike, check the weather. The weather, especially this time of year, isn’t always predictable. It’s better to be aware and prepared instead of being surprised while on your hike. Pack the essentials. Nothing is worse than being on your hike and not be prepared for emergency situations. Some key essentials to have with you at all times are map/compass, sunscreen, extra clothing, cell phone, water, and food. Wear the right clothing. Painful feet can ruin any hike. Invest in high-quality hiking shoes and thick socks. Wearing layers is the best way to be prepared impotenciastop.com. You can always take them off and put them back on when needed. Know where you’re going. Before heading on your hike, make sure that you and whoever else is going is aware of where you are going. Showing up for hiking and not knowing where to go can lead to an unsuccessful hike. Go over the trail and/or trails that you will be covering that day, that way you can be safe and enjoy the experience.